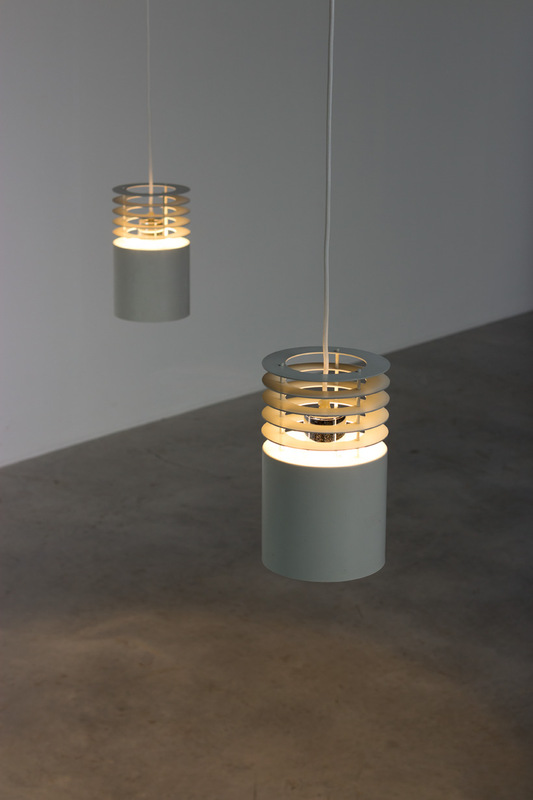 Pair of off white ceiling lamps designed by Jo Hammerborg for Fog & Mørup Denmark, circa 1970. Aluminum off white cylinder with grid above and chrome bulb holder. Both lamps are rewired. Paire de lampes blanc conçu par Jo Hammerborg pour Fog & Mørup Danemark, environ 1970. Cylindre en aluminium et porte ampoule en chrome.